Baton-wielding riot police broke up anticorruption protests and detained hundreds of demonstrators in Moscow and other Russian cities today soon after arresting opposition leader Alexei Navalny. The protests, called by Navalny, a strong critic of Russian president Vladmir Putin, drew thousands of people and were some of the biggest in Russia since 2012, as Reuters’ Svetlana Reiter and Andrew Osborn report. Battling to hold on as prime minister of Britain after losing her majority in Parliament in the election last week, Theresa May shored up her position today by expressing contrition to fellow Conservative Party lawmakers and promising to consult them more, but as the Washington Post’s Griff Witte and Karla Adam report, she is still considered unlikely to stay on over the next two years as Brexit talks unfold. Qatar’s financial markets stabilized today after a week of losses as the government showed it could keep the economy running in the face of sanctions by its neighbors, as Reuters’ John Davidson and Andrew Torchia report. The U.S. Army has commissioned a $2 million study to determine whether an anesthetic injection to the neck alleviates symptoms of post-traumatic stress disorder. Source: WSJ. —CSIS’s James Andrew Lewis on Russia’s efforts to hack elections. Source: Wired. 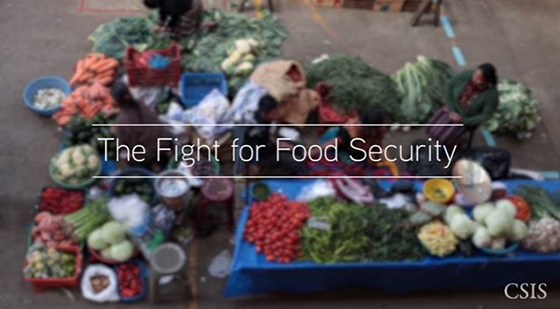 The CSIS Global Food Security Project released a new documentary and report on the U.S. Feed the Future initiative in Guatemala, the largest Feed the Future portfolio in the Americas. You can watch the documentary here or read the full report, Tracking Promises, here. 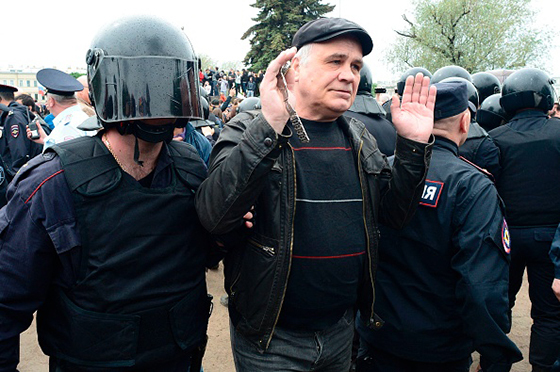 Russian police officers detain a participant of an unauthorized opposition rally today in Saint Petersburg. Breaking Defense ’s James Kitfield interviews Joint Chiefs of Staff chairman Joe Dunford. Join CSIS’s Simon Chair in Political Economy and the Freeman Chair in China Studies at 9:00 a.m. for a discussion on Hong Kong’s past, present, and future as it approaches the 20th anniversary of its return to Chinese sovereignty. Join the Stimson Center at 1:00 p.m. for a discussion on the global risks presented to human security by environmental change. Last week, CSIS’s Global Food Security Project hosted a discussion on the world’s four famines—Nigeria, South Sudan, Somalia, and Yemen—and the urgent steps the international community should consider to alleviate the crises. The latest Smart Women, Smart Power podcast delves into what the UK election results mean for Brexit and the future of Prime Minister Theresa May’s Conservative Party. You can listen on iTunes or SoundCloud. Seems like everyone loved the Motown we played last week—how could you not love it! The Temptations have astonished audiences through the decades with their incomparable vocals and synchronized movements. Their original lineup with David Ruffin on lead vocals always makes me smile.